Because we live in an imperfect creation, it is not possible to talk to about Truth perfectly. We can point to it by creating stories and myths to use as models to help us understand it. In this article, I use the feminine and masculine energy as symbols to point to Truth and wholeness between opposites. In this model, the feminine stands for Truth, beyond all physicality and the masculine represents truth in all physicality. I invite you to read with your heart rather than your intellect. My beloved is a Goddess. She is beyond all comprehension and knowledge and therefore trying to speak of her is difficult. Having a physical form, I am the universe and creation. I am God to her Goddess and I am you. Our purpose is to ascend out of our physical trance and to awaken to know her. I am devoted to her no matter what my form. As man/women, paper cup or drop of rain, she will always be my Goddess. As God, her attracting opposite, I travel the pathway home to be with her. Out of her vast void, I manifested. I am the words to her poetry. Some beings see all manifestation as flawed and imperfect when compared to her. Like a dream, we will always be flawed when seen by beings yet awakened. Only beings awakened from the dream see she is me, so in my own way, I am perfect too. We are perfect together. We are unable to see the perfection because we have been hypnotized by the dream. No matter the hypnotized level, our beloved, will reach us with words we can understand. My lover is the creator of our creation. She has written the storybook and all its characters. We play all the parts of all the characters. She watches the scenes from behind our eyes and knows the dialogue before the lines are said. We believe the characters and stories we play to be real. And because of this, we believe we can decide the actions and destiny of the characters we play. We are lost in the stories and the characters and get upset when the story doesn’t happen the way we desire. We believe the choices are ours to make. We believe we have control of the story and we resist and suffer when the character’s desires we are playing don’t materialize. The Goddess writes the desires of character as part of the story. Sometimes the character’s desires are fulfilled within the story and sometimes not. The power we believe we have is an illusion. When we see ego and know it is not who we are, we are liberated from the illusion or dream. We then know who and what is breathing us. Only I can know my beautiful and infinite Goddess. She created me to love her. Her love and my love is the real drama and story of the creation dream. In the creation stories, her light will always prevail over the dark. This is the only option possible, but we do not know it, when asleep in the dream. Before we awake from the dream to be with our love, she demands us to focus on and surrender to her only. She tells us all love comes from her. So my love for her is her love, even if thou sometimes I think it comes from me. When I completely surrender to her, my love becomes her love. When I am more of her than me, I see you are her also. We created this complicated creation to disguise our beloved from ourselves. The creation stories of many of the religions on earth left her part out of their understanding, but this is how she wanted it. It made the dream all the more confusing and difficult. The earth university is one of the most challenging schools. In the beginning, she wanted us to know ourselves different from her. How would she come to know the length of eternity unless we knew death? How would she know how big infinity could be unless we knew this limited body? If I did not know the experience of pain how could she then appreciate pleasure? Manifestation is a paradox. When opposites and paradoxes disappear is when life and creation disappear too. I see you; you are the same as I, but we are separated by the dream. Oh my love, I only have my understanding of you to use to know you. I cannot know or grasp you, which is non-existent or void, as much as I would like. You are beyond the intellect of thought. This void that is you is half of who I am too. Only the part of me that is you, knows of your existence. We are a paradox. Without each other, we are nonexistent. Beloved, you are Truth and I am your dream. We are whole together and opposites when seen as separate. We are yin and yang who make a whole. We are One. Of course, truthfully, you are neither feminine nor masculine and manifestation is whatever you desire it to be. I have written this understanding to parts of Self to help Self know Self. We are One and all there is and ever will be. I do not hold any one teaching or group to be “the” truth… for Truth is about Knowing the Whole of Everything. The non-duality understanding of Oneness has always existed. The Vedic word for Oneness is Advaita and translated means ‘not two’. It is derived from the Upanishads, which are thought to be the final commentaries and interpretations of the ancient, Vedic texts. Vedas means ‘Knowledge’. Many believe the ancient Vedic scriptures have also existed since the beginning of history. These ancient scriptures were written down by sages over a period of time, between 1500 BCE and 500 BCE. It is said, that prior to this time, the teaching of Knowledge was given orally from one person to another. The word Upanishad means “sitting down near”, implying sitting at the feet of the one with Knowledge and is the basis for the relationship between teacher and student and ‘the spoken word’. ‘The spoken word’ is a way of transmitting and pointing to, that which cannot be spoken. The ultimate lesson of Advaita Knowledge is beyond the realm of conceptual thought and form. This non-thing or void that will always remain wordless is True reality and at a certain stage in our perception, it is seen as the only thing that exists as Real. All else seeming to be separately real is but a Dream! From this ultimate perception, individuals and separation do not exist. The separate self is an illusion, a lie, the Dream. It is the ego in each of us, which believes itself to be separate, with individual power to create and choose. The ego is the Dream self and does not realize itself to be a fictional character of the Dreamer. Self Realization happens when Oneness awakens from the Dream into the knowledge of its True Self. Waking up from the Dream is not something an individual ego can control or make happen faster or even happen at all, because again, in Truth, there are no individuals with individual power. Advaita thought is an essential pointer to understanding Reality beyond the words and concepts. India may be credited to having the oldest and most doctrines, as well as teachers teaching Advaita concepts, Ramana Maharshi being the most famous, but the essence of this understanding is universal and can be found at the root of all myths and religions of the world. Throughout time, there have been teachers emerging with various degrees of this understanding. Joseph Campbell, in his 1988 ‘Power of Myth’ series, was able to explain this transcendent understanding to a western audience, on national TV. It seems that this was the beginning of our western culture, to collectively, go deeper into the knowledge of this Ultimate Understanding, allowing for more acceptance and diversity among us. We come out of Oneness to explore Self… we awaken and see our separation is a dream… We return back to One… We are Infinity… we are All that exists. The little antidote below, by an unknown author, was forwarded to me in an email a long time ago. It spoke to me and seemed an appropriate message to share with you. Hands started going up. He said, “I am going to give this twenty dollars to one of you, but first, let me do this. He proceeded to crumple up the twenty dollar bill. He then asked, “Who still wants it?” Still, the hands were up in the air. Our own worth and our worth to each other is beyond what we can see. We suffer when life does not go the way we think it should. The ego projects feelings of being alone, unloved and worthless. The ego loves to wallow in the negative. 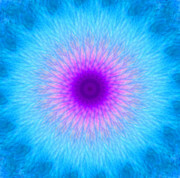 This is when it is time to reach into the unseen reality, of who and what we are beyond the physical. Reality could be described as LOVE without conditions when viewed from the perspective of the higher realms. Have you ever wondered why someone would risk their very own life to save a strangers life? Perhaps it might be because, at a base level, we have Knowledge that we are all the One, we are each other, and we belong to each other.